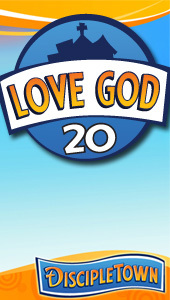 Since it founding in 1994, Kidology's Mission has been to Equip and Encourage Those Who Minister to Children. This is not merely a motto, it is the lifelong passion of Kidology's founder, Karl Bastian. 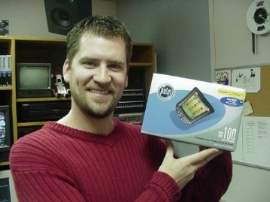 Whether it was giving away Palm Pilot's to a budding children's pastor (Brian Dollar pictured left), or funds to buy resources (Jamie Stinson pictured below), Kidology has gone beyond the website to offer practical help for those 'in the trenches' via the Kidology Foundation since its beginning over twenty years ago. This is not a "prosperity" philosophy, of giving in order to receive, but an understanding that when you withhold (or save) waiting until you have in order to give, you never will. Instead, you give first, and then God will enable you to keep giving. Throughout his life, Karl noticed that generous people and organizations never lacked for the means to be so, and those who weren't generous often seemed to be asking for money and help. So he determined that Kidology would start giving right from the start. When people hear "Kidology Foundation," they often assume there is a large fund of money and apply to receive grants from this endowment. There is no such fund. Instead, the Kidology Foundation is a budget line item out of which Kidology gives out of this commitment to help others fulfill their missions within the realm of children's ministry. We do not typically accept grant requests but tend to initiate grants by giving to ministries that we identify as matching our calling. Those who wish to send requests via foundation (at) kidology.org are welcome to do so; however, we cannot promise a response unless a decision is made to support the request, due simply to adminstrative limitations. Recipients must be a non-profit organization, not individuals. 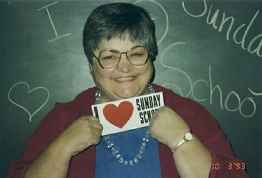 In 2002, Karl established the Patti Bastian Memorial Children's Ministry Scholarship at Moody Bible Institute. 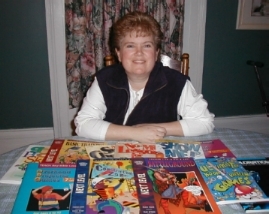 This annual scholarship assists students at M.B.I. with their schooling and encourages those with experience and interest in children's ministry to consider a career in children's ministry. Periodically, in partnership with INCM and other children's ministry conferences, Kidology will provide scholarships and/or travel for Kidology members to attend children's ministry training conferences and events in order to further their children's ministry training. While Kidology.org is primarily supported by memberships and sales in our online store, Kidology never allows the cost of our site to prevent anyone from missing out on the vast resources available on Kidology.org. At the top of the join page is a link to ask for a scholarship to the site, and every month many free Premium Memberships are given away. Part of our Foundation is giving away these scholarships - nearly $20,000 per year in addition to thousands of dollars in Kidology resources that are freely handed out any time we encounter people who cannot afford them. Donations to the Kidology Foundation enable us to be generous and never say 'no' to these opportunities to help children's ministry workers who are unable to purchase the resources they need, whether it's a website membership, curriculum, training materials, or something else. Make checks payable to Kidology Inc.
Kidology Inc. is a 501(c)3 Non-Profit so all donations are tax deductible.